Coleman quality and brand name in a full 9 Qt. Lunch Cooler with your logo. Features include high density foam insulated, hinged lid, carry handle. Holds nine 12 oz. beverage cans. Overall size 12 1/2 w x 11 h x 9 d.
This lunch cooler is recommend for construction, manufacturing. 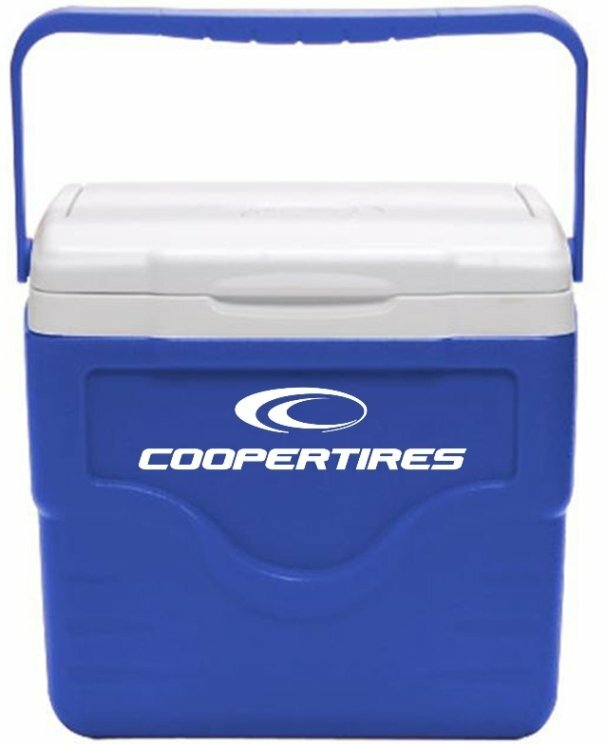 Lunch Cooler available colors: Royal Blue and Red. Price includes a one color imprint on front in area 5" w x 1 1/4" h.
color add a setup and running charge $.55 each unit.